I was just browing on the internet for some Swatch-stuff, and found www.swatchforum.com. However, it seems that it missed some updates since last year. The forum is still active though. 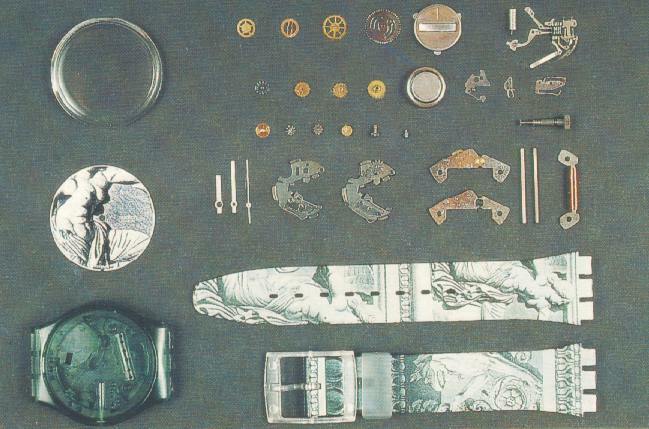 I stumbled across this picture, showing all 54 parts which make it a Swatch watch. Besides this site, you might want to visit the Virtual Museum of Swatches.